The spring releases from California winery Casey Flat Ranch - located in the mountains of California’s Capay Valley in Yolo County - were featured in a virtual tasting event recently, staged by PR firm Charles Communications and hosted on a live video stream which is archived here. Casey Flat Ranch Managing Partner Alison Garrett and winemaker Laura Barrett hosted, while those who joined in sipped and commented on four CFR wines: the 2013 Sauvignon Blanc, the 2013 Syrah Rosé, the 2012 Viognier and the 2011 CFR Estate Red Blend. The vineyards of this historic longhorn cattle ranch overlook the Capay Valley from a vantage point 2,000 feet high in the Vaca mountains to the east and bordering Napa county to the west. I am told that the high elevation produces terroir-driven wines, “serious, elegant wines, packed with fresh fruit and stunning minerality.” The AVA is a youngster, formed in 2002. The Capay Valley was settled in the 1850s, and vines were planted in the next decade. The grapes at Casey Flat Ranch were planted much more recently, in 2002 and 2008. Soil conditions at 2,000 feet on the ranch range from rocky to sandy, with a sandstone base. Temperatures are similar to northern St. Helena, with a swing of 40 degrees between daytime and night - suitable for Bordeaux and Rhône varieties. Casey Flat Ranch utilizes sustainable vineyard practices and is home to a variety of wildlife, including 200 Texas Longhorn cattle. The wine is quite pale in color, with a floral peach aroma on the nose which has an herbaceous tint to it. A very slight funky note plays across the fruit. The Musqué clone of the Sauvignon Blanc grape is highly expressive and typically has a strong floral element to it. The palate is fresh and delightful, the way we like our Sauvignon Blanc, and is drenched in nectarines and acidity. It is the acidity which makes this a great food wine, and it's the lovely fruit and flowers combo that makes it so good to sip on its own. It’s not like the Zinfandel grape doesn’t get its fair share of time in the spotlight. Zin festivals abound in California, the state which can justifiably claim Zinfandel as its heritage grape. As the person who came up with the name of this wine-stained little corner of the worldwide web, I think there is always room for one more. The folks at ZAP! - Zinfandel Advocates and Producers - are behind this new event. ZAP’s Simply Summer Celebration will have its introductory splash on Saturday August 16, 2014 from noon to 3:30 p.m. at Ridge Vineyards’ Lytton West Vineyard, 1040 Lytton Springs Road in Healdsburg. “The inaugural event will be held in Dry Creek Valley, a traditional home for great Zinfandels,” according to Mark Vernon, president, Ridge Vineyards and the 2014 ZAP president. “The occasion is for consumers looking for a fun, casual and unique experience to taste among the vines. It’s Zin‐revival—a rustic ZAP tasting under the tent—mingling with the wineries, munching on authentic wood‐fired pizza and mixing it up with the people who share our passion for Zin,” he continued. Tickets for ZAP’s Simply Summer Celebration are $45 for ZAP members and $60 for the public. Tickets can be purchased at ZAP ‐ Simply Summer Celebration. ZAP members receive early bird pricing - an additional $10 off per ticket - through June 30. Participating wineries will receive special pricing for their winery club members. 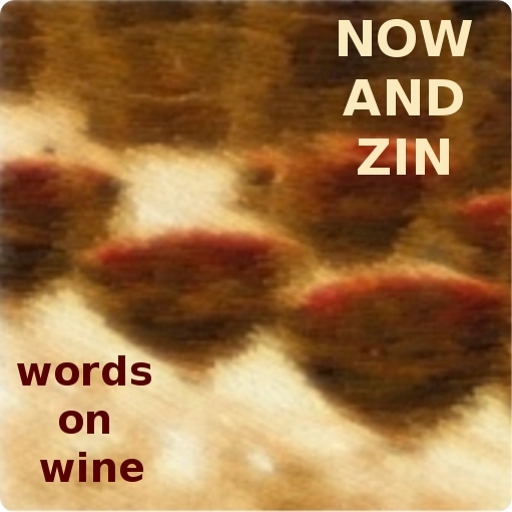 You may contact ZAP directly by phone at 530-274-4900 or email at info@zinfandel.org. Robinson points out that ZAP is in this wine thing just for the wine. “As a non‐profit 501(c) (3) educational organization, ZAP’s focus on cultivating our advocate base at higher levels of giving is translating to effective consumer engagement for our wineries. This new summer event features the historic spirit of Zinfandel and builds on the work already begun to reposition Zinfandel as a quality varietal with historic significance to our culture and society,” said Robinson. Gamba Vineyards & Winery, Hartʹs Desire Wines, J. Rickards Winery, Jerome Winery/Cellar 433, Klinker Brick Winery, Kokomo Winery, Lava Cap Winery, Limerick Lane Cellars, m2 Wines, Mazzocco Winery, Mike & Molly Hendry, MoniClaire Vineyards, Murphy Goode, Novy Family Wines, Pedroncelli Winery, Pezzi King Vineyards, Proulx Wines, Ridge Vineyards, Rock Wall Wine Company, Rombauer Vineyards, Rued Winery, Scott Harvey Wines, St. Anneʹs Crossing, St. Francis Winery & Vineyard, Three Wine Company, Trentadue, Turley Wine Cellars, Valdez Family Winery, Wilson of Dry Creek, XYZin and Zin‐Phomaniac. Everybody loves a good wine value, and I find great values over and over again in the wines of Italy. The Italian restaurants of Los Angeles - there are so many great ones - are particularly adept at finding wines that offer a lot of quality for the money. When you drink wine in a restaurant, especially by the glass, there simply is no way to think of it as a deal. So today’s wine - at $9 a glass on the wine list at Da Pasquale in Beverly Hills - may not look like such a great deal at first glance, but it sure does taste like one. And, considering that you can find this jaw-dropper for under ten bucks a bottle, the value is definitely there. The 2011 La Maialina Chianti - named “Little Pig” to honor a centuries-old Tuscan pig breed - is crafted by respected Tuscan winemaker Attilio Pagli, who now also creates wine in Argentina’s Mendoza region. This wine offers a great expression of the Sangiovese grape and yet another good reason to pair Italian wine with Italian food. The grape's acidity makes for a perfect meal accompaniment. The wine has a medium ruby tint and beautiful aromas of cherries and roses, hot from the sun, dominate the nose. Tobacco notes come forward after it has been in the glass a while. On the palate, there is more great cherry expression, also turning darker with time. Great tannins, nice acidity and a medium-full mouthfeel make for a wine that’s easy to drink and pairs well with food. It was particularly nice with my lasagna Napolitana. Several new white wine releases by Dry Creek Vineyards were shared with me recently, and they are ideal for springtime and summer consumption. Whites are great all year long, if you ask me, but the summer months allow for a crisp white wine to show its refreshing qualities best. We have already covered the the Dry Creek Vineyard Sauvignon Blanc and Dry Chenin Blanc. Today, their Fumé Blanc, kindly provided as a sample for review. Fumé Blanc is the wine that put Dry Creek Vineyard on the map. Founder David Stare was the first to plant Sauvignon Blanc in Dry Creek Valley, and he did so after being wowed by the classic styles of the grape produced in Sancerre, Pouilly and Vouvray. Sauvignon Blanc, at its best, offers freshness in a way no other grape does. Its racy, wild character is not bound by "fruity" or limited by "pretty." Sauvignon Blanc is the first day of spring, the hottest day of summer, the last warm day of fall. Dry Creek Vineyard's first Fumé Blanc release came in 1972, and the winery still - despite all its other successes - presents it as their flagship wine. The winemaking team of Tim Bell and Nova Perrill adhere to tradition - Loire Valley inspiration is apparent in the wine’s aromas, flavors and textures. !00% Sauvignon Blanc, the wine was fermented in stainless steel tanks, reaching 13.5% abv. It retails for $14 and is bottled under a screw cap. 2013 offered near perfect growing conditions, and is one of the driest vintages on record. A mild winter and a moderate summer stretched the season and allowed for some great acidity providing the backbone of the finished product. The winery recommends you try this wine with oysters. A May virtual tasting event under the BrandLive banner featured Charles Krug Wine proprietor Peter Mondavi, Jr. tasting and tweeting about his family’s stake in the Napa Valley. Charles Krug is the oldest winery in California and Peter Mondavi, Sr. is perhaps the oldest vintner. He is within swirling, sipping and spitting distance of the century mark. 2011 was the 150th vintage for the Charles Krug label, and three of the wines on the tasting list for the Twitter event were from that vintage, their Napa Valley Merlot, Family Reserve "Generations" blend and Family Reserve "Howell Mountain" Cabernet Sauvignon. See the video of the tasting here. Wine lovers in the twitterverse came alive for the event. During the virtual tasting, @WineJulia commented on the wine’s drinkability, messaging that "the lower alcohol keeps these elegant, while the complexity & tannins bring them to life!" @WineFashionista tweeted, "Interesting that of these four wines Merlot is Charles Krug's best seller!" @WineHarlots mentioned of the Merlot, "Miles has left the building." The Mondavi blurb writer calls the 2011 Charles Krug Napa Valley Merlot their “Cab lover’s Merlot,” and with good reason. It is as big and bold as many a Cabernet Sauvignon hailing from America’s best-selling wine region, despite a cool growing season in 2011 that made harvest a few weeks later than usual. The yield was down and the sugar content of the grapes was lower than they like, but the winemaking team members were thrilled to capture so much flavor despite the obstacles. The Napa Valley grapes which make up this red blend are 84% Merlot, 8% Cabernet Sauvignon, 4% Petite Sirah, 3% Malbec and a 1% splash of Petit Verdot. The wine spent 18 months aging in French and American oak barrels. Alcohol clocks in at a pretty reasonable 14% abv - thank you, cool vintage - and retails for $25. The wine has a very dark color, opaque ruby red in the glass. The nose displays robust aromas of black cherry and blueberry with a nice plume of smoke laying over the fruit. On the palate, the moniker “Cab Lover’s Merlot” really hits home. Rich, bold fruit flavors burst forth impressively. Savory undertones join the show, awash in dark berries and vanilla. A very slight herbal sensation peeks through, a light bell pepper note - the only aspect of the taste that points to a cool vintage. Pairing with red meat is a no-brainer - the tannins are fine and the acidity is juicy. A cheese plate would be welcome, too. Include some Camembert, Gouda and Gruyere. In 1885 Felipe Rutini was hired by the Argentine government to develop public parks in Mendoza. It didn't take him long to recognize the potential for winemaking in the region, and his family established themselves as winemakers, owning property there for over a century. In 1994, ownership was transferred and winemaker Mariano Di Paola has been overseeing the winemaking since then. A winery was opened in 2008 in Tupungato, in the Uco Valley. There are hundreds of acres of vineyard land planted to wine grapes now. Only 21 miles away is the 21,5000 foot peak of Tupungato volcano, the world's tallest active volcano. The minerality resulting from the location defines the terroir of the region. A 25-degree swing in temperature between day and night produces the effect that makes it a great wine growing region. The southern hemisphere harvest starts at the end of January and ends in early May, making it one of the longest growing seasons in the world. The Rutini Trumpeter Chardonnay 2013 sells for $11 per bottle and sports an alcohol level of 13.5% abv. Malolactic fermentation sits at 30%, and the oak treatment utilizes French oak - 50% new and 50% mature - for seven months. The wine is a pale straw color and features a nose of apples, lemon peel and soft vanilla. On the palate, citrus takes the forefront, with apple and pear flavors following. Bright acidity and a really nice mouthfeel allow the oak to make its statement without overriding the sensation of the fruit. Another virtual wine tasting event took hold of Twitter for an hour recently, and a large contingent of Lodites took to their favorite social media platform to swirl, sip and spill the beans about the amazing white wines of the Lodi AVA. The comments put forth by the participants can be found under the hashtag #LodiLive, while full details of the event and the Twitter stream is found here. I met Markus and Liz Bokisch once when they poured their wines in Los Angeles. They are wonderful, nice people who share a passion for wine - in particular the grapes of the Iberian Peninsula. Markus spent childhood summers with relatives in Spain, hence the love of Spanish grapes. The 2013 Bokisch Vineyards Garnacha Blanca Vista Luna Vineyard is primarily Grenache Blanc - in its Spanish depiction, Garnacha Blanca - with a 10% splash of Albariño. Fermentation and aging was done all in steel. The Vista Luna Vineyard is in the Borden Ranch appellation of Lodi, carries a 13.2% alcohol content and it retails for $18. During the virtual event on Twitter, @cellarmistress commented, “This is a gorgeous wine, voluptuous mouthfeel, yum!" @Luscious_Lushes tweeted, “Mouthfeel is rich & unctuous. I like it cold but even a bit warm its just a lovely wine.” I always like to taste whites without a chill. @pullthatcork posted, “Nice to see the lower ABV (13.2) What you want in a summer sipping wine." @WineJulia thought, “It's amazing how clear the Grenache Blanc is! What a tropical beauty. Delicious” while @ChasingJen went for some food pairings: “imagine with apricots/blue cheese/honey on walnut crackers.” @WINEormous liked it “with a smoked cheddar. It's so food friendly!” @myvinespot offered some thoughtful tasting notes: “Stone & tree fruit, delightfully textured, fine acid structure. Very food-friendly." This gorgeous white wine sits very pale in the glass while aromas of peaches, nectarines and lime peel waft upward. The minerals are an olfactory treat, too. The flavors are peachy and citrusy enough, and a strong current of minerals is in play on the palate as it is on the nose. The acidity is razor sharp and refreshing. It's an amazingly food-friendly wine, as the Twitter users were quick to point out. This is a white wine that can be paired with a number of meat dishes, even red meat. It can also refresh on a warm day, but its strong suit is accompanying food. The winemaking community in Lodi is hard at work, slicing a piece of the California appellation pie for themselves. Family-owned vineyards are the rule in Lodi, with generations upon generations of farmers working the dirt there. They are getting out the message in every way possible that Lodi is a wine region of note, and Zinfandel is their calling card grape. A new collective of Zinfandel producers - Lodi Native - has been formed. The six winemakers have banded together to bottle some single-vineyard Zins under their collaborative banner. Their mission is to accent Lodi’s heritage plantings – many of them dating back to the late 1800s – through sensible viticulture and minimalist winemaking practices. Native yeast fermentation and use of no new oak help put the focus on Zinfandel’s terroir - on the taste of vineyards rather than varietal character or brand. Lodi Native wines are available for purchase in six-bottle cases only, each consisting of all six different single-vineyard bottlings. 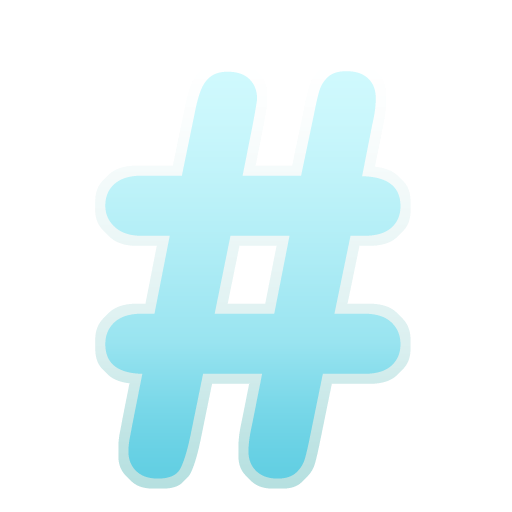 The six wines of Lodi Native were recently discussed in a virtual tasting event on Twitter. Here is one of them, from Fields Family Winery. 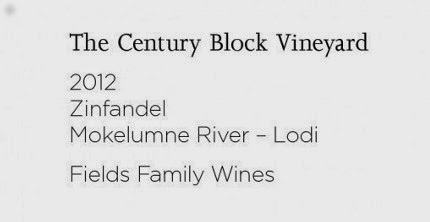 Their 2012 Century Block Vineyard Zinfandel was produced by winemaker Ryan Sherman. Just under 14% abv, this focused, fruit-driven Zinfandel is made from some very select grapes grown in Lodi's Mokelumne River AVA, east side. The Century Block Vineyard is only three acres small, but it is planted in Zinfandel vines that have been there since 1905. According to the Lodi Native website, this wine is the first in all that time to feature the vineyard's name on the label and "shows what maximum attention in the field and minimal intervention in the cellar can do." Sherman feels the same way, as expressed on the Fields Family Winery website: "Our goal is to craft wines that showcase the vineyards from where they come and employ a minimalistic approach to winemaking." Here, that goal is met. This deep, red Zin smells of blackberry, plum and chocolate, and richly so. The palate is lovely, with cherries, plums and a hint of raspberries. Extremely fine tannins and bright acidity make for an absolutely delightful experience, with a finish that is lip-smackingly good - the raspberry flavor lasts longest. This red is great for ham, chicken or pork dishes - it would even hit it off with a grilled salmon or swordfish steak. Under the guiding hands of Susan Tipton, Acquiesce Winery produces only white wines and rosés of the Mokelumne River appellation. Her wines are all about the grapes - handpicked and whole-cluster pressed - with no influence of oak to alter what nature has given. The Acquiesce Viognier 2013 retails for $23, carries an alcohol number of 12.1% abv and comes bottled under cork. By the way, you may find it hard to throw away or recycle Tipton's pretty, French bottles. A nice healthy glow shows in the beautiful clear bottle. Aromas of ripe yellow peaches and apricots mix with a floral note to produce an absolutely lovely nose. Nice minerals - and plenty of them - are set off in a citrus orange peel scent. The palate shows a bit more of the citrus - mandarin orange and lemon zest - with a fresh acidity that refreshes but doesn't overwhelm. The whole cluster pressing of the grapes shows nicely in the slight herbal element. The wine finishes with a lemon zing. In the summertime, Sauvignon Blanc is as popular on wine-loving patios as is an Arnold Palmer at a golf course restaurant. The dynamic white grape variety is light, crisp and refreshing, making it a perfect choice for the warmer months. But it can be a lot more than something cool to wash away the heat. It’s a popular grape all over the world, and the styles produced in France, New Zealand, South Africa and California vary greatly. Why Napa Valley Sauvignon Blanc? Camp goes to bat, claiming “the generous, warm climate of the Napa Valley is custom made to create sauvignon blanc of richness, depth and complexity.” Cornerstone made a vertical tasting of their Sauvignon Blanc wines available to me - 2009, 2010 and 2011 - to show this style’s ability to age into something even greater than its beginning state. Camp promises, "In the 2011 you'll find the racy, mineral freshness of a young wine, while in the 2010 the developing richness that can only come with bottle age and in the 2009 the round, mouth-filling complexity of a fully mature wine." The wines look serious, even before they are opened. They are in dark bottles, not the usual clear style which house most Sauvignon Blancs. Camp says this is done specifically because the wines are made to age, and the dark glass protects the wine from light. The wines spent nearly six months aging in barrels, then another year in the bottles. These three vintages of the Cornerstone Sauvignon Blanc are made from grapes grown in the Talcott Vineyard in St. Helena, 100% Sauvignon Blanc. The vines in this mature vineyard average over twenty years old and are dry-farmed. All three wines underwent a slow and cold fermentation in stainless steel, then were racked into French oak barrels for five months of aging sur lie - in contact with the spent yeast cells. This adds richness and complexity to wine. Winemaker Jeff Keene gets great fruit from the vineyard and makes the most of it in the winery. The 2009 vintage was mild, with spring rains that brought the vines to lush life and nice, even ripening throughout the summer. The wine carries a restrained alcohol content of 13.9% abv and is now available only from the Cornerstone library at a price of $70. Of the three wines here, this one has the darkest color. A very smoky nose is bursting with extremely ripe peaches and apricots and layered with hints of grass and herbs. This wine is drinking very well. The fruit elements almost have a whiskey flavor to them, so great is the barrel and aging influence. Citrus, green apple, and apricot take on a smoky sensibility. The acidity is positively gripping, and refuses to quit until the sipper is refreshed. A white wine with some barrel age is a fine and elegant thing, and this is a prime example. The 2010 vintage was unusually cool, with cloud cover lasting through the summer and extending the growing season. The crop was smaller than 2009, and the grapes show more intensity as a result. The alcohol content is a little higher in this one, 14.1% abv. The wine retails for $50 and is also available only from the Cornerstone library. The color of this wine is much lighter than that of the ‘09. An explosive nose sports tons of tropical fruit, like pineapples and mangoes, with a layer of grass underneath. The palate shows grapefruit that is sweetened by the tropical side. A bit of cantaloupe also appears. The grapefruit minerality lingers on the palate, with some of that melon along for the ride. The smoky side is starting to come through, but it is still just a savory notion. Make no mistake, it is a dry wine, but the sweetness on the palate is simply remarkable, as is the bracing acidity. The alcohol content is about the same as in the ‘10, at 14.1% abv. The wine retails for $30 per bottle. Of the three wines in this vertical, this one shows the lightest color, but it is very close to the shading of the ‘10. Its nose is fresh and grassy with tasteful hints of citrus and apple. A very subtle palate is sumptuous when compared to what is usually delivered by Sauvignon Blanc. Flavors of citrus and apple carry traces of the oak aging, which is just starting to make itself known. This is a wine with enough acidity to handle lunch pairings, but smooth enough to just sip. And sip. The finish is quite lengthy and pleasant, marked by Meyer lemon. So, the wine pundits have concluded that Syrah has not fulfilled its promise as the Next Big Thing in California grapes. Which variety will step up and claim that open position as the great purple hope? 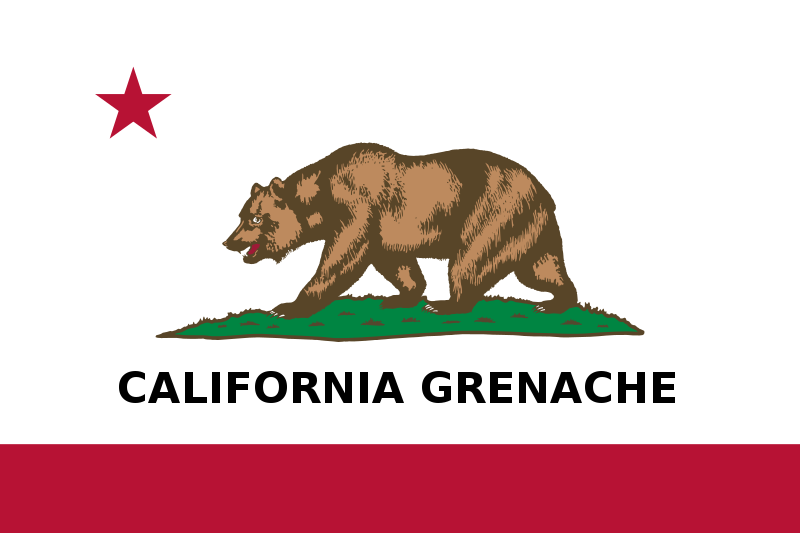 Grenache seems well-suited to California, particularly in the cooler vintages. Sporting plenty of what the wine-buying public likes - fruit, tannins, acidity - and often available at great price points, Grenache would seem to be poised to make some noise. We have sampled some California Grenache wines from different parts of the state in this series. There have been some all-Grenache varietal wines as well as some blends. Today's entry in the California Grenache sweepstakes is a four-grape mix with Grenache playing the lead. "Tablas Creek Vineyard," their website explains, "is the result of a decades-long friendship between the Perrin family of Château de Beaucastel and Robert Haas, longtime importer and founder of Vineyard Brands. The families created a partnership in 1985 and in 1989 purchased a 120-acre property in the hilly Las Tablas district of west Paso Robles for its similarities to Châteauneuf du Pape: limestone soils, a favorable climate, and rugged terrain." The vine cuttings for the property were brought over from the celebrated French locale and propagated in the on-site nursery. Tablas Creek Vineyard Côtes de Tablas 2011 - a blend of Rhône varieties - is made of 49% Grenache, 28% Syrah, 15% Mourvèdre and 8% Counoise. The alcohol tips in at 13.5% abv and 1,560 cases were produced. It is listed as "sold out" on the winery's website. Neil Collins is the Tablas Creek winemaker. They also explain there how the different grapes contribute to the wine: "Like most wines of the Southern Rhône, it is a blend of varietals, featuring the fruit and spice of Grenache balanced by the spice and mineral of Syrah, the appealing briary wildness of Counoise, and the structure of Mourvèdre." All the grapes are grown in their 120-acre, certified organic vineyard. The grapes are fermented separately in both steel and wood fermenters. After blending, the wine is aged for one year in a 1,200-gallon French oak cask. Medium dark in the glass, the wine's nose shows plenty of Rhône-style funkiness. Savory and spicy aromas are met with a little bit of black cherry. On the palate, the dark fruit is layered thickly with tar, tobacco and anise. The minerality is awe-inspiring while the acidity gets the juices flowing nicely. There are ample tannins to handle pairing with a meat dish, but the sipping is so smooth you may get sidetracked and forget to throw the steaks on the grill. This wine shows its terroir about as well as any wine I have tried. Paso Robles limestone is all over this remarkable creation. The bottle provided great pleasure over three nights tasting, becoming darker and funkier each night. Cabernet Franc is not exactly a problem grape, but it does like to let its franc flag fly. They know about that around Chinon, in the Loire Valley. The grape’s tendency to display aromas like cassis and raspberry are okay with most folks, but some American palates find the bell pepper and tobacco notes a little off-putting. Cornerstone Cellars' managing partner Craig Camp writes in his Wine Camp blog about letting Franc be Franc. Camp writes, “Many wineries seem to want to tame the cantankerous cabernet franc's edgy personality, but we don't. In fact, we revel in its idiosyncrasies. Being Franc is everything to us.” Francly speaking, when the wine wants to walk on the wild side, let it. The Cabernet Franc grapes for this wine come from Napa Valley vineyard sites in St. Helena, Oakville, Coombsville and Carneros. A touch of Carneros Merlot rounds out the wine. Camp says the spice of the Merlot echoes the natural wildness of the Cabernet Franc with a cool-vineyard herbal note. He starts to get a little overheated about here, claiming, “I don't know if we make a sexier wine.” In the black label, it's certainly one of their better-dressed offerings. The 2011 vintage was a cool one in Napa Valley, and Camp states that some people who look for high-octane, fruity wines were disappointed with it. “If you took the weather we had in 2011, and gave it to Bordeaux,” he writes, “ they would be drinking Champagne and slapping themselves on the back.” I have found that many 2011s from Napa Valley are giving me exactly what I look for in a wine - complexity and restraint. A sample of the Stepping Stone by Cornerstone Black Label Napa Valley Cabernet Franc 2011 was made available to me for the purpose of this article. This Cab Franc is inky dark and has the aromas to back that up. Brooding black currant fruit is smartly outfitted in herbs - sage and eucalyptus - and a hint of bell pepper. The palate continues the dark thread, with flavors of blackberry and black raspberry. There is an herbal streak here, too, with savory notes matching the fruit. The tannins are right out front and the acidity is mouthwatering. The Finger Lakes Wine Region recently hosted another in a series of live virtual tasting events featuring participation via Twitter. The virtual tasting event is a great way to gain exposure to a new wine or winery, and it’s a great way to mingle with folks who are as inquisitive about wine as you are. Like many wine regions, the Finger Lakes Wine Alliance uses the social aspect of virtual tastings to their great advantage. Wagner Vineyards is one of oldest wineries in New York's Finger Lakes region. Located on the slopes of the east side of Lake Seneca, the winery is in the Banana Belt, where the climate is several degrees warmer than areas to the north and south. Winemaker Ann Raffetto has been with Wagner for over 25 years, and she makes her mark on the wines made from estate-grown fruit. This dry Riesling is made from Riesling grapes grown in the Caywood East Vineyard, south of the winery on a steep slope overlooking the middle part of Seneca Lake. Grapes have been grown here for 90 years, so they predate the advent of vinifera grapes in the 1950s. The vineyard was replanted to Riesling in 2005 and is comprised of three Riesling clones: 90, 110, and 239. If the clone numbers mean anything at all to you, consider yourself a true wine nerd. With a residual sugar of just one-half of one percent, the wine is marked as dry on the IRF scale, used by all the wineries in the Finger Lakes region. It clocks in at 13.2% abv in alcohol. While very restrained, it is actually a little stiffer drink than one normally finds in the Finger Lakes. 1,045 cases were produced and the wine retails for $15. This Riesling has won gold medals at wine competitions in the east, west, and points in between. Wagner Vineyards Caywood East Vineyard Riesling Dry 2012 has a very pale tint in the glass, with a nose of flowers, peaches and minerals. The palate shows clean flavors dominated by minerality, with peach, pear and Meyer lemon and a beautiful acidity joined by a great citrus mineral finish. The folks at Wagner suggest pairing the wine with fish, seafood, chicken, pork and mild cheeses. They say you should try it in place of Champagne at your next brunch, and that's a pretty good idea. Since the glow fell off the love affair between the wine biz and the Syrah, folks are looking around for the Next Big Thing. They are poking around in vineyards, peeking under grapevine leaves, playing with winemaking technique - or leaving it out altogether. If you want a Next Big Thing, why not Grenache? Grenache seems well-suited to California, particularly the cooler vintages. Sporting plenty of what the wine-buying public likes - fruit, tannins, acidity - and often available at great price points, Grenache would seem to be poised to make some noise. In the Now And Zin California Grenache series, we are sampling some of the choice Grenache wines from around the Golden State. Today we look right in my SoCal backyard, in Santa Barbara County. The estate grapes for the Zaca Mesa 2011 Grenache are sustainably grown in their Santa Ynez Valley vineyards. This wine is all Grenache Noir, from their Cushman F Vineyard, with well-drained soil over gravelly beds of silt and clay at an elevation of 1500 feet above sea level. The cooler nights at that altitude make for great natural acidity in the wine. 2011 was a cool vintage, anyway, with harvest starting two weeks later than normal. Winemaker Eric Mohseni oversaw the destemming of the grapes and the steel tank fermentation on the skins. The wine aged for 16 months in French oak barrels, 18% of which were new. At 15% abv, it's a wine with some weight behind its punch. Only 376 cases made, and they retail for about $35 per bottle. The wine shines with a medium ruby glow and smells of cherries and raspberries. A bit of smoke holds the aromas together like a savory string. There is a floral note that struggles to grow through the darkness of this nose. The palate is bold and brassy, as we might expect from a high-octane wine. Don't be too quick, though, to paint "fruit bomb" on the label of this complex juice. The ripe fruit is masked by touches of licorice and cigars while firm tannins scratch at the taste buds. The winery suggests pairing this Grenache with mild cheeses, grilled salmon, or lamb kabobs. I say it would fit well in those scenarios as well as with any sort of red meat.